[PSVita] MangaDownloader-Vita v2.4 Released » Brewology - PS3 PSP WII XBOX - Homebrew News, Saved Games, Downloads, and More! MyLegGuy has released MangaDownloader-Vita version 2.4 for the PSVita. * Fix loading grayscale JPEG images. This means nhentai and mangahere are now usable! * Fix the crash that happens when you run a downloading script after already using one. * When viewing images normally, square and triangle can now be used to change pages. 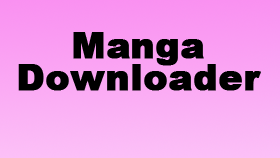 Download MangaDownloader-Vita from the Brewology PSVita Store.